Half up half down hair is a timeless wedding look and one of the most popular wedding hairstyles for brides on their big day. If you are a bride to be and a bit confused on what hairstyle you should go for on your wedding day, then fret no more, I have here some lovely hairstyles from which you can choose. 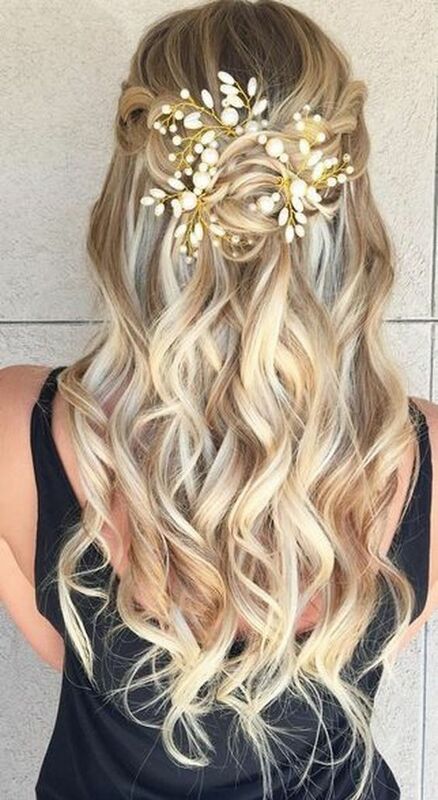 We collected the best 27 half up half down wedding hairstyles ideas that would look perfect whether you are going for classic, boho or vintage wedding theme.